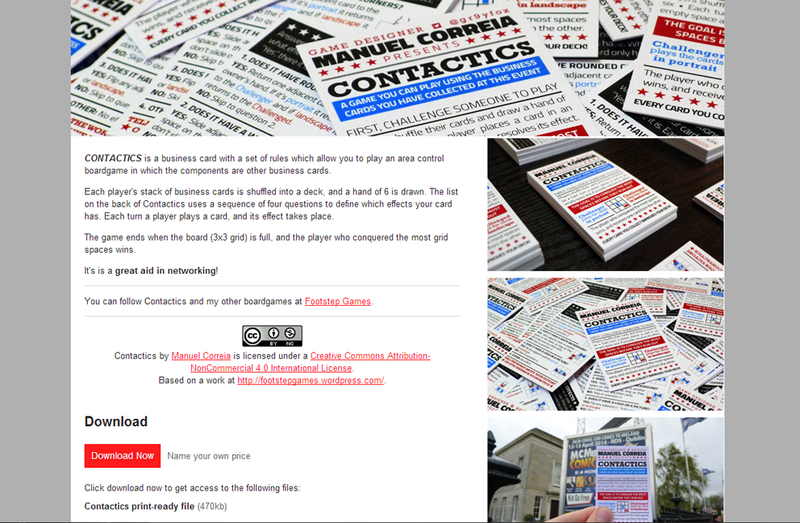 Contactics is now available for download! Now you can get the print-ready files for Contactics! It is available as a “pay what you want” download. Every little bit helps to fuel my next games! It is distributed under a Creative Commons BY-NC-SA 4.0 license, which means you can use and remix the game for free, but you can’t sell it without permission.